The most important step before talking to your parents about their money situation is to begin taking steps for your own financial wellbeing. Before takeoff on every flight, flight attendants will tell you, “secure your own oxygen mask first before assisting anyone else.” This is key because going through the process yourself will help if you need to assist your parents and it will make the conversation much easier if you’re speaking from experience rather than suggesting they do something you haven’t done for yourself. Putting your oxygen mask first, in this case, means putting together your estate plan. You do not need to be a millionaire, married, or have children to have an estate plan. An estate plan is simply a set of legal documents that give instructions on how to handle your affairs, such as property and assets if you pass or are unable to handle them yourself. Documents such as a will, living will and power of attorney may seem like complicated legalese, but the checklist explains what they are, why they are important, and where to get them. There is a lot of shame, blame, and guilt cast when it comes to discussing money. In our society, we often conflate net worth with self-worth. In other words, one is more valuable if they have a lot of money and less valuable if they have less money. This isn’t a conversation to try to figure out how much money your parents have or what they can potentially pass down to you, This is a conversation about how the family can be prepared in advance both legally and financially. Let go of judgment and your preconceived notions of what should be because it’s neither relevant nor helpful. It’s possible, for example, that your parents may not have much in retirement funds because they used it to pay for you and your siblings to go to college or to buy a house in the neighborhood you grew up in. If your parents are in their 50s or 60s, they may want to seriously consider purchasing Long Term Care (LTC) insurance. The cost of healthcare is skyrocketing, and people are living longer. Long Term Care insurance pays for care that’s beyond traditional healthcare insurance policies (in-home care, nursing home, assisted living). Many older adults without LTC insurance are finding that their healthcare costs are wiping out their retirement accounts. Nursing homes can cost over $80K per year and in-home health aides can cost $50K per year on average. Guess who bears those financial costs when that money runs out? LTC insurance is cheaper to buy when your parents are younger and healthier. As you go through the process of getting on the same page with your parents’ financial situation, all adult family members should have both a physical and virtual vault to store important legal and financial documents. In times of crisis, it’s imperative to have a central location with all the important documents. In our checklist, we include a list of important documents and online credentials to keep organized and stored. Each adult in the family should have their own physical and digital vault, as well as knowledge of and access to their parent’s vault. We focused this conversation on the estate plan because it’s extremely important and generally speaking, low hanging fruit. A basic estate plan can be completed online in a few hours for less than a few hundred dollars. These are products that every family member should have but most don’t. An estate plan has everything to do with making sure the family decides what happens with their affairs in advance. It can keep loved ones from having to fight with courts, insurance companies, banks, and hospitals while still grieving. 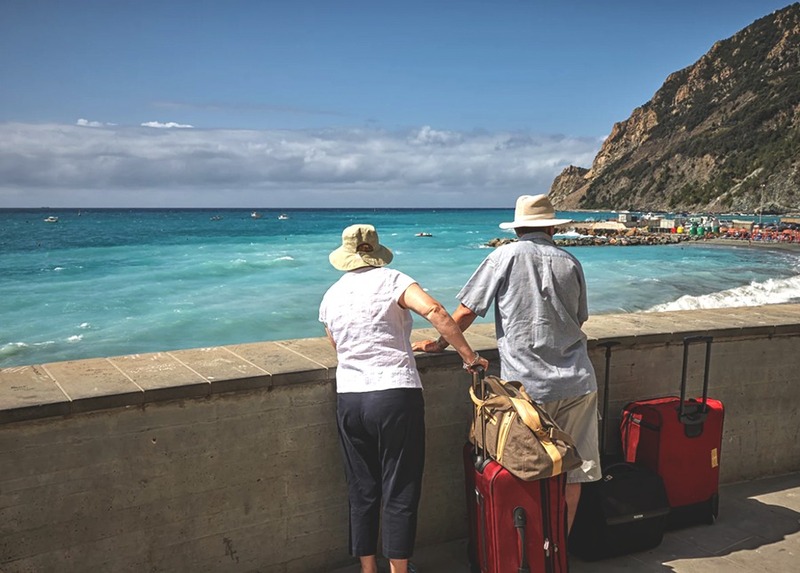 Discussions regarding retirement assets, social security, when should they retire and how long that money will last are equally as important, but should be discussed with a professional. Certified Financial Professionals are a great resource to have those conversations if your parents don’t already have a financial professional to help them with their retirement assets. We have no control over the future and we cannot change the past. All we have is the current moment. Ask yourself if you and your family are fully protected legally and financially. If you’re reading this, then clearly you have a concern. The Money Speakeasy is about breaking taboos and tackling money topics for young professionals with no BS and no jargon. Money isn’t everything, but mismanaging our finances can impact nearly every aspect of our lives. Their mission is to create savvy consumers and wealthy producers who can become the CFO of their finances and achieve their goals. For more, check out their website and follow them on Instagram, Facebook, and Twitter.